Background promo - Seattle staples, SixTwoSeven are headed out on a West Coast tour this Summer in support of their new record, Some Other's Day, due out August 5th Produced by the infamous Jack Endino (Nirvana), the group impress both on the record and on stage, as they head through cities such as Los Angeles an Portland for the upcoming dates. Currently the band is also sharing their new single, "Wreckless Soul," which sets the tone for the album and tour. The record shares alternative elements with an indie twist. 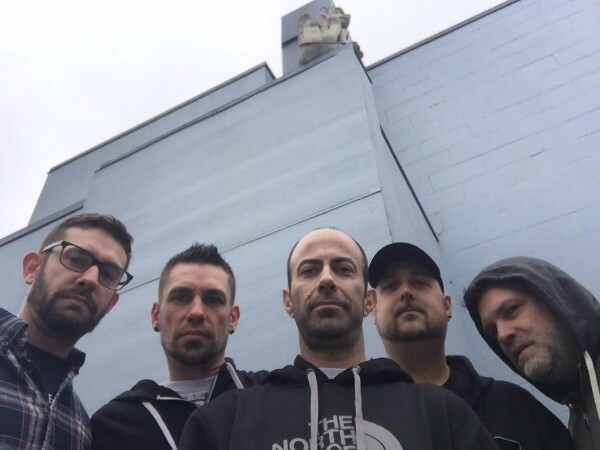 The group create a stunning debut that is a whirlwind of guitars and vocal perfection.Writing songs has long been the way that frontman Greg Bilderback has expressed himself. Though he’s performed in various band over the years, and has had the sense since he was little that he was a born entertainer, his path to rock ’n’ roll frontman had been circuitous. August 18 - The Analog Theater and Café - Portland, OR. 'Wreckless Soul' has that classic indie rock feel to it. Guitars are tight and precise as is the blistering rhythm section, whilst the vocals are expressive and deliver a sub three minute rock'n'roller. LOVEYOU - Outed The Time. Background promo - Andrew Stogel took some time away from the outside world after a personal and painful time, and drifted into a dream-pop realm of his own creation. He’s emerged with the band, LOVEYOU. His steady ally is drummer and multi-instrumentalist DK, who appears consistently on many tracks and is a charter member of the group’s five-piece live lineup. Sparkle & Crush is a majestic 8-song debut that beneath oblique wordplay offers intimate personal revelation. “Art is healing, for me the intrinsic value of making music comes first. Despite the cluttered feelings and ideas I have about my songs, I would come to realize that they were the right responses to how I was feeling when I wrote them,” he says. The album bursts open with the jangly Beatles-esque “I Want To (Make You Feel Happiness)” which captures the essence of Stogel’s melancholy pop. The hooks are huge, but there is a sweet longing beneath the sugar high. The sleepy psychedelic confessional “Awake At Last” is a blissed out journey into self-realization that’s both tragic and triumphant. “Outed The Time” is a coming of age song about harsh realities forcing you to go within, look at your life, and make brave changes. Other standouts include the shoegaze pop of “Your Love Is,” and heavy-lidded closing track, “Fuzzy Logic” For Stogel, his journey in music is inseparable from his growth as a person. Filled with epiphanies and new hope from Sparkle & Crush, he’s already preparing another entry of mind-altering pop. One of eight very strong songs, 'Outed The Time' from the debut 'Sparkle & Crush' needs a couple of plays to grasp the vocals and absorb the superb musicianship. The band can and do vary the styles and pace of songs, whilst maintaining an overall consistent sound. In all fairness the above overview of the album from the promo we received, is a very fair summary, of a very fine collection of songs. The Inconsistent Jukebox Feat Ang Kerfoot - Bold Ego Fledgling. 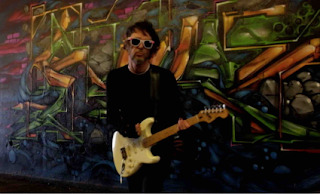 Background promo - The Inconsistent Jukebox has announced the forthcoming release of a new single ‘Bold Ego Fledgling’, which features vocals by Las Vegas-based Ang Kerfoot, via UK indie label Supersonic Media. The Inconsistent Jukebox is the solo project of Barry Snaith. This is the Pandora’s Box giving rise to his work with incredible artists from all over the world and engaged in various creative genres - music, paint, surrealist human art, motion graphics, dance and video. As a guitarist, Snaith has toured, gigged and recorded with the likes of The Ramones, Chrissie Hynde, Johnny Thunders, and David Johannsen. As a solo artist, he writes and produces soundscapes that have been used in fashion shows, the UK’s first ever digital fiction installation and much more. His most recent collaboration, released in June via German boutique label Emerald & Doreen Recordings, is the ‘Radio Boom’ single with Jonathan L, internationally known for decades as a radio show presenter and 2015 Euro DJ Personality of the Year award. Almost impossible to slot into a neat little ‘genre’ box, it’s fair to say that ‘Bold Ego Fledgling’ dishes up a stunning slab of gritty idiosyncratic electro rock, combining distorted glitchy guitars with Kerfoot’s deadpan spoken word turned vocals. 'Bold Ego Fledgling' is musical art. It's a wall of hypnotic sounds, that are wonderfully layered together. In the right mood, with the volume belting the song out, it's a total aural delight.